Traveling can be stressful, we agree. 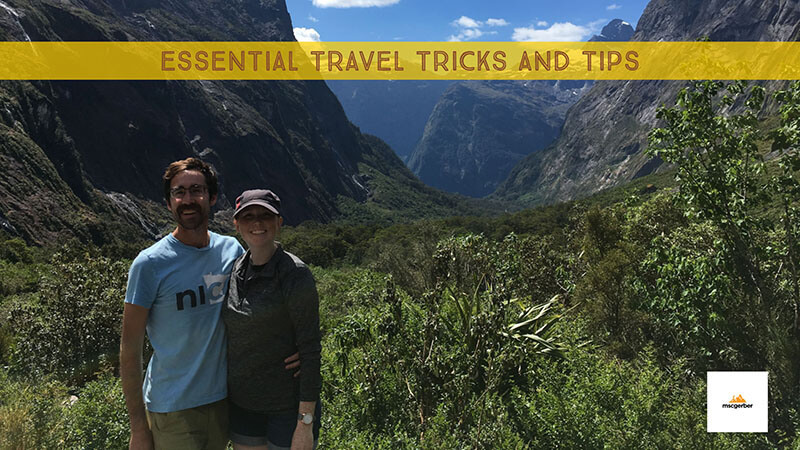 We’ve done a fair bit of it, so here are a few essential travel tips and tricks we use on the day to help keep us sane when traveling. These are some of the most common tools, tips, and ideas we use. It’s taken us trial and error to nail them down, but now that we have them we’re happy to continue using them. When it comes to booking cheap flights, we mostly rely on kiwi.com and google flight tracker. We love kiwi because we can set up plenty of price alerts to keep up to date on what works for our budget. They’ll also give you alerts like, “Book now! We haven’t seen prices this low!” or “Wait a little longer, prices are going to drop soon”. This is so useful because we’re constantly looking to book multiple flights several months in advance. Check them out! 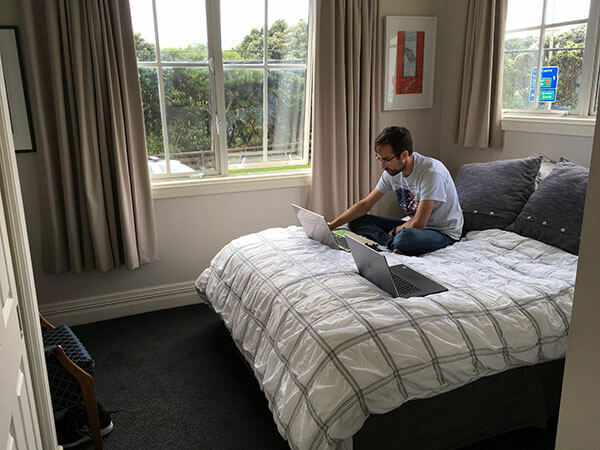 Airbnb has got to be one of the most popular options for booking somewhere to sleep while traveling. More often than not they’re easy to use, easy to find, and competitively priced. You should always be aware of scammer – so use these tips to make your Airbnb experience that much more enjoyable. We’ve not had any problems ever with Airbnb, but folks do have some serious concerns. Another option is house-sitting. This option lets you connect with homeowners in order to watch their home and/or pets while they’re away. It’s sort of like a work-for-lodging agreement. While we haven’t done this option internationally yet, we’ve heard great things from friends and other folks who have. This might not look like much, but believe me: when you’re traveling you don’t need a lot of clothing. This allows me to mix and match pretty well. It requires me to be somewhat close to a laundromat or stay in an Airbnb with washing facilities (which we always do, anyway). I never have to think about what to wear, everything goes together, and laundry takes 1 load. On the other hand, sometimes you really want to dress-up but it isn’t always possible. How to Carry it All? The main bag I use is the bugout bag by Sandpiper of California. It takes everything we’ve thrown at it. Very durable and we can fit a bunch of stuff in it. Hayley uses a typical rolly suitcase we can store in the overhead compartment. 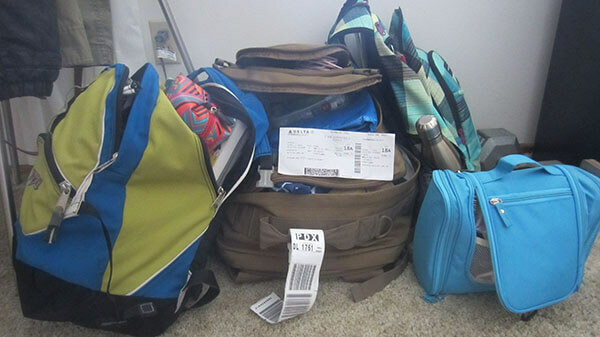 Plus, we both carry 1 or 2 carry-ons each, which usually have our more valuable items. Carrying fewer things (essential your whole world) on your back usually means we can focus more on writing, working, and experiencing a culture. We don’t have to worry about gassing up the car or fixing the house. This depends a little on what exactly you want to do while traveling, but I’ll give you a rundown of what we use and what we use it for. We use all of this stuff all day, every day, for video editing, writing, picture taking, email, research, photo editing, and other communication uses. We need the power of the computers when editing video and images – it’s invaluable. If you’re looking for the right adapters on your journey check out this awesome travel adapter guide. You can find some guides to use these programs for free on our blog. Sometimes, even when you’re traveling, you just want to relax with a movie or TV show. Here is a resource you could use to find what you’re looking for streaming online. It’s constantly updated, too. In conclusion, we hope you enjoyed our essential travel tips and tricks. Traveling takes a lot of planning – you’ll learn what works, what doesn’t, and what to do next. We highly recommend it. We hope you found some decent tips here. Just remember that traveling is a personal experience and you, not gear, is what will make it a success or failure.